Baroque art and architecture was rife with references to Christianity, Catholicism in particular. Scenes from the Bible were recreated in new ways through framing paintings from unique perspectives – placing the viewers in the moment. Ornament in service of religious symbols populated important works of architecture and enlivened streetscapes with their embellished facades. The Age of Enlightenment brought a renewed interest in classicism, but rather then being in the service of religion, it was used to promote science and technology. 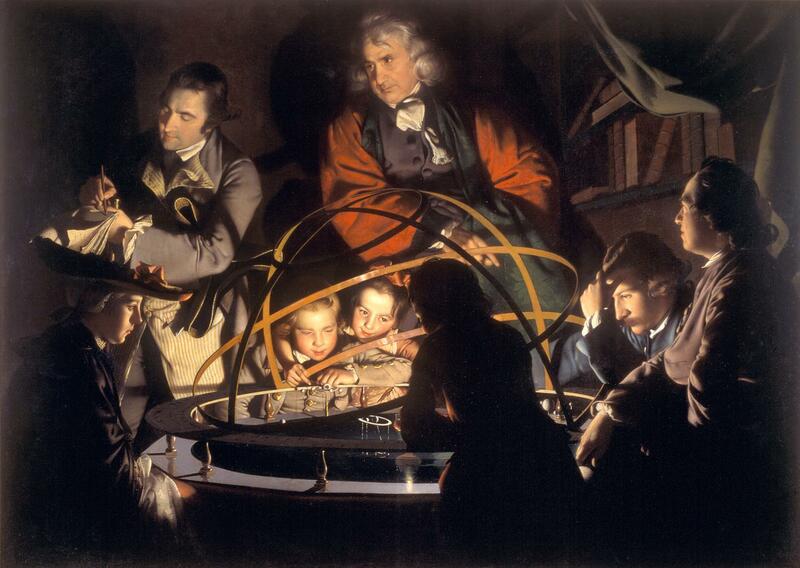 Exemplifying this movement is Joseph Wright’s oil painting from 1766, A Philosopher Lecturing on the Orrery. The work has the intimacy of a manger scene, the unorthodox vantage point of a Baroque painting, but a subject matter that is firmly planted in its contemporary context. Replacing the classical figure of heroic or Biblical significant was an orrery – a mechanical model of the solar system and at its center sits a lamp illuminating the faces of it’s audience. The sense of wonder and awe directed towards this scientific instrument was a clear break from the past as well as an endorsement for the grand new possibilities offered by knowledge gained through science. David, the android, fascinated by a holographic globe in the orrery. 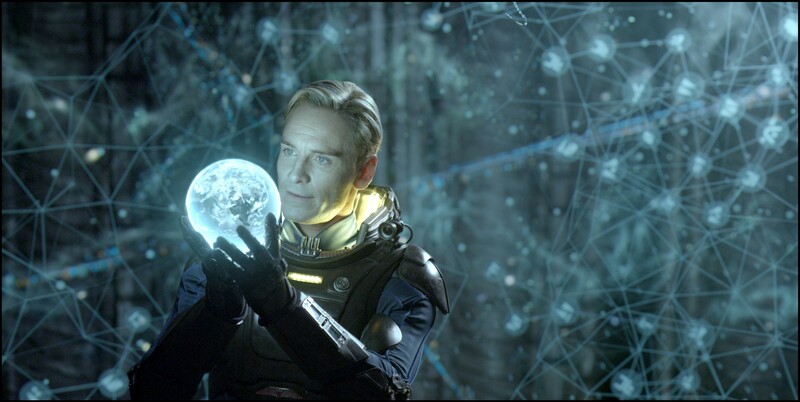 In 2012, Wright’s pivotal work was paid homage by Ridley Scott in Prometheus, the director’s first return to the science-fiction genre in over 30 years. The orrery scene is an awe-inspiring and ominous tribute to A Philosopher… experienced through David, the android character. To view the video through Youtube, click here.